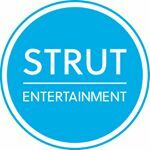 Strut Entertainment opened 13 years ago and is a full service, boutique public relations, social media, event and influencer agency. We specialize in music, entertainment, celebrity and lifestyle clients. Current clients include Marianas Trench, Lauv, The Trews, Jess Moskaluke, MusiCounts and Shaun Majumder.